Obama's College Rating System: Why Do Something Simple and Effective When You Can Do Something Complicated and Futile? President Obama Wants to Institute a College-Rating System to Help Bring Down the Cost of Higher Education. Is This a Good Idea? President Obama wants to create a college-rating system to help prospective students make better choices about where to attend college. Obama's proposed rating system will consider a number of factors--cost of tuition, graduates' average debt load, post-graduate earnings, etc.--which will all be weighed with the goal of identifying which colleges provide the best value for students' tuition dollars. 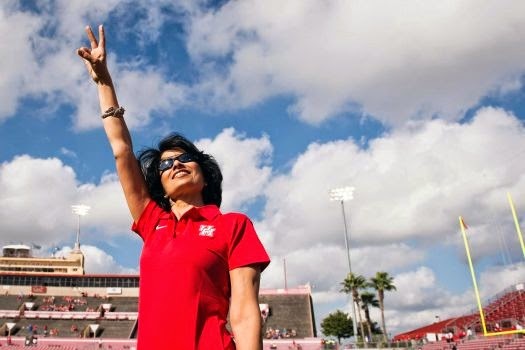 University of Houston's Renu Khator: This woman needs a performance bonus! According to a New York Times story, Obama's proposed rating system would not rank institutions numerically. Rather, colleges and universities would be given grades like "excellent," "good," "fair," or "poor." Not surprisingly, many higher education leaders are opposed to President Obama's initiative. Most of them want nothing to do with a college-rating system designed by the U.S. Department of Education. The New York Times quoted the reaction of several university presidents to Obama's college-rating proposal, who described it variously as "clueless," simplistic, and "wrongheaded." Personally, I have no sympathy for the college presidents on this issue. Colleges and universities have been jacking up tuition for years at twice the annual rate of inflation, and Americans have wracked up more than $1.2 trillion in outstanding college-loan debt. I commend President Obama for trying to reverse this trend. But will a complicated, federally designed college-rating system do anything to stop the upward spiral of rising college costs? I doubt it. In a way, Obama's college-rating initiative is like the Clery Act, which Congress passed in 1990 to give parents and prospective students more information about crime activity in and around the nation's colleges and universities. The Clery Act requires higher education institutions to collect and publicly report on various categories of crime in their campus communities. Unfortunately, there is little evidence that the Clery Act has had much impact on college students' awareness of campus crime. One study reported that only 10 percent of students considered campus crime statistics when making decisions about where to attend college. Two authors who surveyed research and commentary on the Clery Act concluded: "It is clear that students remain unaware of the [Clery] Act" and do not use the information contained in their institutions' annual campus crime reports (Gregory & Janosik, 2002, p. 46). It seems likely that more students choose their universities based on varsity-football rankings than on the crime statistics that higher education institutions are required by federal law to compile and publicize. Why Not Attack College Costs and Rising Student Indebtedness Head On? To his credit, President Obama recognizes that soaring tuition costs and rising student indebtedness have reached crisis proportions. As Cecilia Munoz, one of Obama's top advisers put it, "This is a system which perpetuates itself, and is moving in a direction which is unsustainable to the American people." Nevertheless, it seems unlikely that President Obama's federal college-rating system will have any significant impact on rising college costs and rising student indebtedness. On the contrary, Obama's initiative will probably increase administrative costs at colleges and universities because they will be required to hire more bureaucrats to deal with the college-rating regulations. Shut down the for-profit college industry. Instead of dealing with rising college costs and student indebtedness indirectly, why not tackle the problem head on? For example, we know that for-profit colleges have the highest tuition rates, the highest student-loan default rates and the highest dropout rates of any sector of the higher education industry. Moreover, although they enroll only about 11 percent of all post-secondary students, they soak up a quarter of all the federal student-aid money. Why not simply kick the for-profit colleges out of the federal student loan program altogether? The money saved--more than $30 billion annually--could be directed to public community colleges, which can offer post-secondary education at a far more reasonable price. Shut down the private student-loan industry. We also know that rising tuition is made possible in part by a thriving private student-loan business. Professional schools in particular could not set tuition rates at their current high levels if it were not for the fact that students have access to a private student-loan market to pay their tuition bills. Why not shut down the private student-loan industry? And how could that be done? Simply by repealing the 2005 revision to the U.S. Bankruptcy Code that makes private student loans almost impossible to discharge in bankruptcy. If the banks knew that insolvent student-loan debtors could discharge their loans in bankruptcy as easily as they could discharge other unsecured loans, the private-loan industry would shut down almost overnight. Force colleges and universities to cap tuition and executive compensation as a condition of participating in the federal student loan program. Finally, all colleges and universities should be required to cap tuition, fees, and executive compensation at current levels as a condition of participating in the federal student loan program. The value of capping college tuition and fees should be obvious. Telling colleges they must freeze tuition and fees at current levels in order to receive federal student-aid money would force higher education to immediately rein in costs. And capping executive compensation is also important Let's face it, many college and university presidents make obscene amounts of money and their total compensation packages are often not publicly disclosed. No institution participating in the federal student loan program should be allowed to do what New York University has done--give low-interest loans to favored employees to buy second homes or pay its president a "length of service" bonus of $2.5 million. No institution that receives federal student aid money should do what the University of Houston did, which was to pay its Chancellor, Renu Khator, a salary of $700,000 a year plus an additional $200,000 a year in deferred compensation along with a $100,000 a year retention bonus and a contingent bonus of $50,000 a year dependent on performance. Don't you think that's ridiculous? Chancellor Khator makes a million dollars a year in total compensation (plus free housing), and then she gets an additional $50,000 incentive for superior performance? So what's Ms. Khator telling the University of Houston? I'll do a pretty good job for a million bucks a year, but for an additional $50 grand performance bonus, I'll do a super job! These three actions--shutting down the for-profit college industry, shutting down the private student-loan business, and forcing colleges and universities to cap tuition and executive compensation--would help stop the spiral of rising college costs and growing student indebtedness. All three actions would be simple to implement and all would have an immediate effect on the cost of higher education. On the other hand, President Obama's proposed federal college-rating system will do absolutely nothing to rein in the cost of higher education or reverse the trend of rising student-loan indebtedness. The time for tinkering with this problem is over. Only drastic action will restore fiscal sanity to American higher education. Dennis E. Gregory & Steven M. Janosik. The Clery Act: How Effective Is It? Perceptions From the Field--The Current State of the Research and Recommendations for Improvement. Stetson Law Review, 32, 7-58 (2002). Michael D. Shear. Colleges Rattled as Obama Presses Rating System. New York Times, May 26, 2014, p. 1. I lived in Alaska for nine years, a state that takes its wildlife very seriously. If you were accused of bank robbery or murder, you could expect justice. But heaven help you if you shot a moose out of season! America's elitist colleges have a similar scheme of skewed values. Our elitist institutions encourage students to focus on trivial issues. When Dartmouth students took over the college president's office to demand gender-neutral bathrooms, Dartmouth treated them with utmost respect. Likewise, our elitist colleges are happy to entertain bizarre student demands to put warning labels on great works of literature. Warning! The Adventures of Huckleberry Finn contains racist language! Why do colleges put up with such mindless student antics? Because they don't want students to start thinking about true injustices: the cost of tuition, the out-of-control student loan program, the economic injustice perpetrated by the corporate banks and our federal financial policies. No--when students protest about important things, the authorities come down hard. Remember the Occupy Wall Street protesters at UC Davis awhile back? UC Davis police pepper-sprayed students sitting passively on a sidewalk. Don't mess with Wall Street! 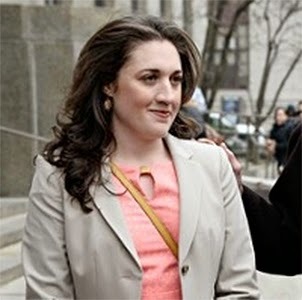 And Cecily McMillan, a graduate student at the New School, was recently sentenced to three months in jail for allegedly assaulting a police officer during an Occupy Wall Street demonstration in New York City. Ms. McMillan denied the charge, saying that she was only defending herself against a police officer who grabbed her breast. Personally, I think her only crime was to challenge the economic order in an Occupy Wall Street demonstration. She should have barricaded herself in a college president's office demanding an end to "abilityism." The college president would probably have served her coffee! Yes, college presidents and professors will talk with students for hours about the rights of transgender students to go to the bathroom, whether the college endowment fund should divest itself of coal-company stocks, or whether warning labels should be placed on The Great Gatsby. But don't ask them about bloated tuition costs, excessive executive-compensation packages, or the ties between academia and the finance industry. If you ask difficult questions, you are liable to get pepper sprayed. James C. McKinley Jr. Despite Calls for Release, Activist in Occupy Case Gets Three Months. New York Times, May 20, 2014. Jennifer Medina. Warning: The Literary Canon Could Make Students Squirm. New York Times, May 18, 2014. p. 1. 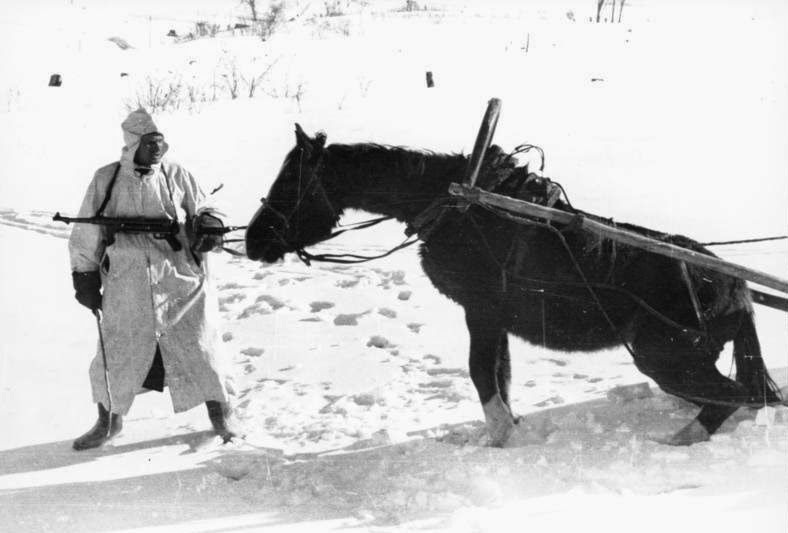 The federal government's student-loan forgiveness programs--like Germany's decision to invade Russia in 1941--must have seemed like a good idea at the time. After all, millions of college students are burdened by crushing student loans, the student-loan default rate creeps ever upward, and many college graduates have not gotten jobs that pay well enough to service their student-loan debt. So why not create some programs that will lower student borrowers' monthly loan payments? And so the government created two programs that are essentially student-loan forgiveness programs. One program allows people who take public service jobs to make loan payments based on a percentage of their income for ten years. At the end of the ten-year period, the balance of their loans are forgiven. The other program--income-based repayment plans (IBRPs) --allows borrowers to make monthly student-loan payments based on a percentage of their income for 20 or 25 years (there are several variations). Just as with the public-service loan forgiveness plans, student-loan debtors will see the balance of their loans forgiven at the end of the repayment period. The attractiveness of these programs for student-loan borrowers is obvious. They see their monthly payments go down, which may keep many student-loan debtors from going into default. Currently, about 1.3 million borrowers are enrolled in public-service loan forgiveness plans, and about the same number are enrolled in IBRPS. But here is the downside. None of these programs contain provisions to discourage students from borrowing more money than necessary. In fact--since the monthly payments are based on a percentage of borrowers' income and not the amount borrowed, the programs contain a perverse incentive to borrow as much as possible. As a result, many of the people making income-based loan payments will never pay back even a portion of their loans. Here are a couple of examples--one taken from a Wall Street Journal article and one taken from a New York Times story--that illustrate the problem. Haley Schafer borrowed $312,000 to attend veterinary school in the Caribbean, even though the job market for veterinarians in the United States is terrible Schafer got a job making about $60,000 a year, not nearly enough to comfortably pay back her student loans under the standard 10-year repayment plan. So Schafer signed up for a 25-year income-based repayment plan that lowered her monthly loan payments to about $400 a month. Unfortunately, her monthly payments aren't large enough to cover accruing interest on her loans. The New York Times estimated that her loan balance will continue to grow, and when she finishes her 25-year repayment plan her loan balance will be more than twice the amount that she borrowed--$650,000! And that's Haley Schafer's story. Now let's hear about Max Norris, a public-service attorney who borrowed $172,000 to go to University of California's Hastings College of Law. Under the public-service student-loan forgiveness plan, he only pays $420 a month on his loan balance, not enough to cover accruing interest. 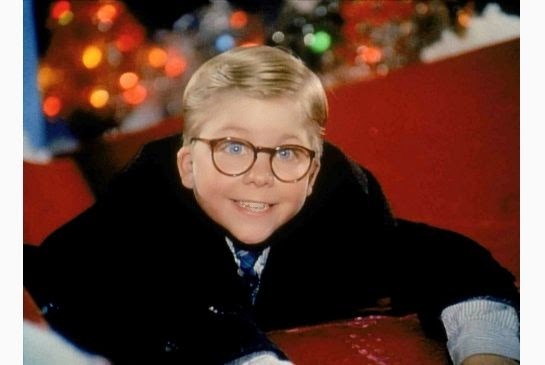 Norris's loan balance will be forgiven after 10 years. Assuming Norris stays in public service and gets annual raises of 4 percent, the government will forgive $225,000 in student-loan indebtedness--more than Norris borrowed! In other words, the federal government is giving Morris a 100 percent subsidy to go to law school, even though the market is flooded with lawyers. In fact there are currently two law-school graduates for every new legal job. Surely, anyone can see that it makes no sense for the federal government to permit people to borrow $100,000 or more to train people for professions that are already overcrowded and then allow them to make loan payments that are so small that the payments don't cover the accruing interest. But that is what our federal government is doing. And, although these programs may help keep the student-loan default rate down, they are actually making the student loan-crisis worse. Not only do we have 7 million people who stopped making loan payments and are in default, we have another 9 million who aren't making payments because they received an economic hardship deferment or are entitled to some other form of forbearance. And then we have 2.5 million people who are making loan payments based not on the amount they borrowed but on their income, which means most will never pay off the principal of their loans. In short--the number of people who will never pay off their student loans is in the millions--many, many millions. Josh Mitchell. Student-Debt Forgiveness Plans Skyrocket, Raising Fears Over Costs, Higher Tuition. Wall Street Journal, April 22, 2014. Businesses that protect homeowners from termites and roaches call themselves pest control companies. But speaking as a homeowner, I don't want the roaches in my house to be controlled. I want them dead. The Consumer Financial Protection Bureau (CFPB) is much like a pest control company that looks out for the interests of the pests. It wants to regulate the the nation's rapacious financial services sector in a way that doesn't cause the banks too much discomfort. When it comes to the private student loan industry, this attitude is a mistake. As the New York Times pointed out in a recent editorial, private student loans are very different from federal student loans. Students who take out federal student loans get a fixed interest rate, and they can apply for an economic hardship deferment if they run into financial difficulties. Private lenders often offer variable interest rates that allow monthly loan payments to adjust upward, and they usually don't have any process in place to assist financially distressed borrowers. The CFPB collects hundreds of complaints each year from people who took out private student loans. In a recent analysis, the Bureau reported that some private student-loan borrowers were forced into default without warning even though they were current on their loan payments In particular, the CFPB documented that some student-loan borrowers who were making regular payments on their loans were forced to pay back the entire amount of their loans if a person who co-signed their loan died. Some student borrowers received notice from their lender that their loans were being called due at the same time they were mourning the loss of the parent or grandparent who had cosigned the student's college loan. Now that's crumby behavior. And guess which private lender received the most complaints? Sallie Mae. The CFPB received 995 complaints about Sallie Mae between October 2013 and March 2014. That's a 50 percent jump over the previous measuring period. And coming in second place for most number of complaints was JP Morgan Chase. Issuing private loans is a particularly lucrative business for the banking industry. Why? First of all, in 2005, the banks got Congress to amend the bankruptcy laws to make private student loans almost impossible to discharge in bankruptcy. Second, about 90 percent of these loans are co-signed--often by a parent or a grandparent. Co-signers stand jointly liable with the student borrower when it comes to paying off a private student loan. And co-signers--like the student borrowers themselves--cannot discharge a private student loan in bankruptcy except under very rare circumstances. In its recent report, the CFPB practically begged the banks to be more compassionate to their student-loan debtors. Rohit Chopra, CFPB's Student Loan Ombudsman, pointed out that a student-loan borrower who had a bad experience with a bank would be less likely to use that bank for other banking matters. And, Chopra added, treating student-loan borrowers badly might hurt the banks' reputation. Yes--the CFPB's Student Loan Ombudsman actually expressed concern about the banks' reputation! The New York Times, commenting on the CFPB's report, thinks more federal regulation is the way to deal with the rapacious private student-loan industry. "Federal regulators clearly have a lot to do to address what amounts to a student loan crisis," the Times editorialized. Regulators "can begin by preventing contracts that unfairly burden borrowers," the Times suggested and loan terms "should be clearly stated." And--the Times concluded, student-loan borrowers should be notified when their loans are at risk and borrowers in good standing should not be "shoved into default." Personally, I don't give a damn about Sallie Mae's reputation or the reputation of the banks that have been mistreating private student-loan debtors. And I don't think another layer of regulation will make the banks behave more compassionately or more responsibly. The way to deal with problems in the private student-loan industry is to shut this sleazy business down. And that can be easily done. All Congress needs to do is to repeal the 2005 law that made it exceedingly difficult for private student-loan debtors and their guarantors to discharge student loans in the bankruptcy courts. 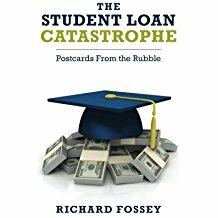 If Sallie Mae, JP Morgan Chase, Wells Fargo and the other major players in the private student loan industry knew that distressed student-loan debtors could discharge their student loans in bankruptcy in the same way they could discharge other non-secured debts, they would get out of the student loan business in a hurry. And that is exactly what we should want them to do. Rohit Chopra. Mid-year update on student loan complaints. Consumer Financial Protection Bureau, April 2014. Editorial. Troubling Student Loans. New York Times, April 29, 2014, p. A20.